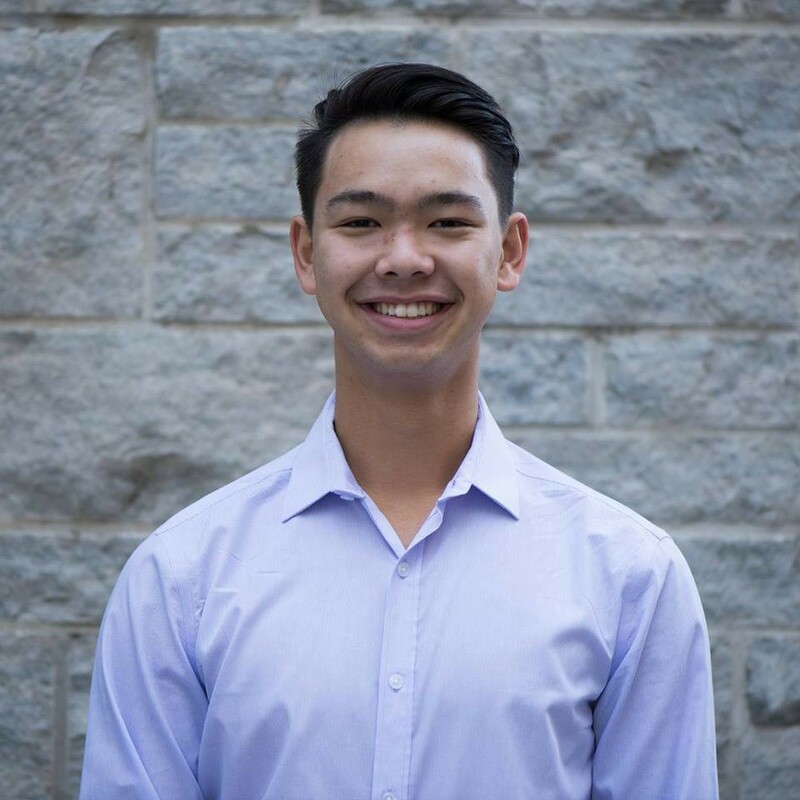 Cooper Leong is a 3rd Year Mathematics and Engineering student at Queen’s University, specializing in Systems and Robotics. Participating in his third hackathon, he went into QHacks 2018 excited to build something that he had never created before, and that would be beneficial to many people. Cooper’s team created a mental health tracking app called Espect that predicts mental health cycles and notifies users for potential triggers (https://devpost.com/software/espect). The app worked by inputting 6 different categories of mental health influences and used machine learning to determine what one’s mental state might look like in the near future. It also included a platform for people to share their stories and advice to help others find the best treatments and resources for their mental wellness. Microsoft’s Azure was used to develop the machine learning algorithm, while Swift was used for the application interface. This was uncharted territory for Cooper, having never incorporated machine learning into a project before. The added challenge of a 36-hour time constraint made this a difficult task for his team. Towards the end of the event, they ran in trouble connecting the front-end to the back-end, forcing them to use two separate machines for their demo. The Espect team found their biggest challenge was finding a project that was feasible and that hadn’t been done before. They spent a lot of valuable time trying to find a unique idea, but were constantly disappointed when they found out that it had been done before. After pivoting completely 6 hours into the hackathon, Cooper and his team knew they could not dwell on their past efforts and needed to keep moving forward if they wanted to have success. They were aware that time is always one of the biggest factors at a hackathon, and that coding projects almost always take longer than expected. During the same event, another group hoped to solve this very problem. The Hack2 team worked to build a solution that determined whether an idea had already been done before (https://devpost.com/software/hacksquared). It took in an idea name and description, aggregated data from multiple sources, and displayed a list of products with a percent similarity to the idea the user had. While the Espect team unfortunately could not utilize this solution yet, it did become a QHacks finalist and the winner of the Microsoft Prize. Another common piece of advice that hackers often have for first-time participants is to take advantage of the sponsors that are attending. They are a big reason why hackathons including QHacks can run at the scale they do and provide a ton of value for hackers including workshops and mentorship. Cooper’s highlight of QHacks was talking to the representatives from Deloitte about their project as well as job opportunities. Cooper’s favorite project that he saw during the weekend was Morte — an application that monitors audience emotion in real time (https://devpost.com/software/morte). He mentions that it has great implications and can aid presenters in pleasing the audience. His most memorable moment was when his team developed an idea that just “clicked” with them, and that they felt was unique. With hackathons, you have full control of your project, and can take it in any direction you would like. It is an incredible feeling when you can work on something that you are passionate about and are not limited to the guidelines laid out by other people. Looking back on that weekend, Cooper was extremely proud of what his team was able to accomplish in a short 36-hour period, especially with no prior experience with the languages and tools they were working with. They did not get discouraged when they struggled and were persistent while learning. They used QHacks as an opportunity to explore topics they were interested in and that they may not have learned in their classes. For Cooper it was UI/UX design, working primarily on the front-end of the app. For his partner, it was working with the machine learning models in Azure. Cooper’s story is great example of the importance of prioritization, knowing your goals, and understanding your constraints. It is easy to get discouraged at hackathons when things don’t go your way; those who are open-minded and adaptive are the most likely to have success. After QHacks 2018, Cooper spent the summer at XSENSOR Technology Corporation as an Engineering Co-op. He was responsible for collecting and cleaning data for machine learning purposes, designing/configuring new machine learning servers and developing product wireframes.